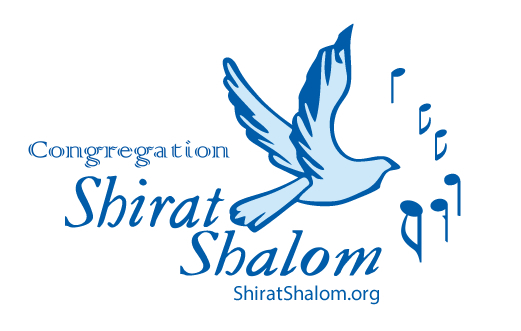 Shirat Shalom, the name of our congregation translates as "Song of Peace." The following song is based on the visions of Peace of our children. Won't you help them by sharing their message? And don't forget to add your vision of Peace as well! Where everyone has a smile on their face!! Home and food for everyone! VERSE: Do you have a dream that 's deep inside? Come now and sing it, don't let it hide! And that's how we bring to earth Love and Peace for all! It's a world that now can be! Child l: But wait a minute, we can't do a song without the dogs! Child 2: Right, what do they have to say? Child 3: After all, what is dog spelled backwards? And that 's how we bring to earth heaven from above! with the kids and grownups singing along! With Love and Joy and Harmony! A world of Peace for you and Me! Written by Cantor Lee Degani based on visions of Peace of our children! It is through our children that "Shirat Shalom," A Song of Peace, is being sung around the world! Peace is a magical word. I often wonder how an imaginary visitor from Mars or beyond who lands on Earth for a visit would react when he sees the way we humans interact with each other. A few days after landing he would most likely report to the mother ship that earthlings are the most strangely behaved creatures in the universe and that no universal logic applies here. 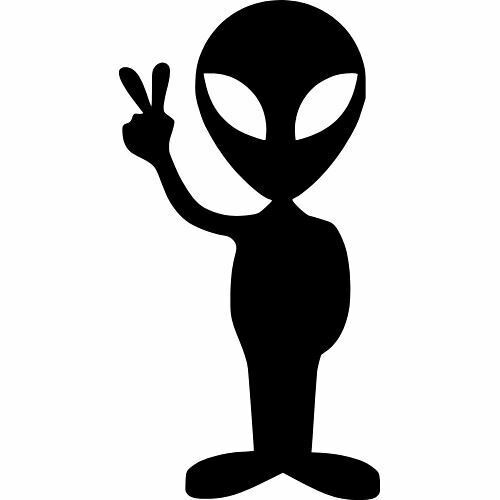 The Alien visitor, we'll call him "Alien Bob", (aka "ET Bob") will probably report that earthling are certainly on the right scientific trajectory. Their achievements are basically in line with their human evolution give or take a few hundred years. He would probably assess that "Humans as they call themselves may one day solve much of their many challenges." The report, however, would probably include a survivability disclaimer: "that is if earthlings even make it to the next earth century"
ET Bob would no doubt be perplexed with our existence paradox. Something that his solid alien logic cannot settle. His report to the mother ship will include that: "Billions of valuables which they call dollars are spent to improve and advance earth dwellers' lives. This includes those who walk on two legs, the ones that walk on four legs or those who move inside a liquid they call water. At the same time, hundreds of billions of these dollars are spent to destroy what they themselves are trying so desperately to preserve." The rest of Alien Bob's report would not be too flattering to us either. "Earthlings live in groups called nations. In many parts of their small planet they are not able to live next to each other without evoking hostile behavior which humans call war." ET Bob's analysis would be that perhaps this bizarre behavior has to do with certain abnormalities or an evolutionary blunder. "Something in their brain chemistry compels them to erupt every so often for the purpose of hurting or even annihilating each other. The tools they use for this purpose are now capable of destroying their entire planet many times over." I was surprised to receive an invitation from Alien Bob to discuss his findings with me over breakfast. I accepted. We met at Einstein's Bagels a few Sundays ago. He seemed to be a nice alien, well spoken and polite. He opened the conversation: "I have been watching humans for quite some time. I even abducted a few of them for closer examination but the mystery remains. While your level of brain and emotional complexity is reasonable for this galaxy, your inner need to destroy each other is perplexing. That's why I asked you to meet me , Rabbi David. My mother space ship asked for additional data clarifying this point. You, being a Rabbi and all, most likely will have all the answers." "You see Alien Bob," I said, "Earth Dwellers' major problem is lack of parallel moral evolution. Human evolution of decency and morality varies in different parts of our small world. We have certain inner forces that seem to dictate our attitude towards each other, despite our growing scientific understanding of our world and ourselves. We call these controlling forces nationalism and religion. These human controlling forces vary in intensity and goals in different parts of the world. These forces can be can be stirred up relatively easily and with great intensity. Like igniting a fire, some humans in fact stoke these differences in order to evoke strong emotional behavior. This, ET Bob, is what you have observed as hostility and hatred." "But why such a strange behavior from fairly sophisticated Earth dwellers"? Alien Bob insisted. I thought for a while and then said: "There is really nothing wrong with the forces of nationalism and religion as long as they are not getting out of hand and become exclusive, because then they become extremely destructive. This usually happens when a nation or a religious group falls victim to brain altering, known here on earth as brainwashing by their leaders. "I don't understand any of this" Alien Bob answered. I continued: "Many of us around our world understand that we will have to find a way to live together or risk destroying our earth. We call this realization, "Peace". Unfortunately, many others have not arrived at this evolutionary stage yet. With more and more of us coming to this realization we are waiting for the rest of them to catch up with us." While Alien Bob nodded his strange looking blue head, I knew that indeed, there was no way he understood any of it. I smiled: "Don't worry if you don't understand what I said, none of us, on the side of peace really understands any of it either. We too are trying to figure out this strange behavior." Alien Bob was in a rush to get back to space to continue his journey of exploration. "You know", I said before we he left, "maybe next time you are in our neighborhood in a few hundred years things will be different and our strange behavior will be corrected.". "Maybe", he said. "For your Earth's sake I hope you are right"
After Alien Bob left I could not help but feel that he was not just a space traveler but perhaps a celestial angel who came to plant hope for peace in our hearts. I hope he will come back very soon. Today one of our seventh graders became a Bar Mitzvah, a Son of the Commandments. In his speech this boy explained that he had been asked a very important question by his parents a few years ago when he was ten. He didn't have to make a decision then but with no hesitation he did. Yes, he wanted to follow the faith of his father, his grandfather and his great-grandfather. The boy grew up with many stories about his great-grandfather, of how as a teenager he saved his six siblings and parents during the Holocaust. Each night he would take one of his family members on his bicycle and ride miles and miles through much danger to bring them to safety. He managed to get to America and there like so many others worked and saved money in order to bring over his family, again, one by one. The great-grandfather and grandfather and rest of the family were overjoyed that the boy had made this decision! As it got closer to his Bar Mitzvah year, there was much excitement and planning that the great-grandfather would come from New York for the ceremony. But he passed away just a few months ago. The boy did a beautiful job chanting from the Torah although it was actually the first time he even actually read from the Torah! Yes he knew how to chant it from the paper but the handwritten letters without vowels in the Torah looks quite different. Although planned, he didn't have a chance to attend his rehearsals. But that didn't phase him. It didn't even phase the boy that he didn't even know what to expect. None of that mattered. He would not only be honoring his greatgrandfather but today he would be giving a gift to his grandfather. You see, this grandfather who had been battling cancer, was determined to stay alive in order to see his grandson become a Bar Mitzvah. But in the last week it was clear that this was not to be. So with the family, Rabbi David and I planned a last minute service to be held in the hospice facility. After the grandfather was brought into the chapel, the family members and dear friends gathered around his bed. The boy stood right by his grandfather's side and led the prayers. When it came time for the reading of the Torah, the table was brought right in front of the bed. As did everyone else, I cried many tears during the service. And more came when the boy told his grandfather, "Papa, it is not whether you lose or win the fight against cancer. What counts is the fight you give and you have fought courageously. You are My Hero!" Afterwards I said to the boy, "I know Justin, that your Bar Mitzvah service is still a few weeks away, but today is the day that you truly became a Bar Mitzvah." We hugged for a long time and I continued to cry. After the grandfather was wheeled back to his room, Justin's father came over to Rabbi David and me to thank us. "My father said this was the happiest day of his life. What more could I ask for?" What more could Rabbi David and I ask for....We are truly blessed. Here is Justin learning to put on Tefillin at Hebrew School. He is now ready for the last step - wrapping his finger with three loops. From Cantor Lee: After the inner cleansing of the High Holy Days, we receive balancing and Joy as we connect to Mother Earth and Nature by spending time in a sukkah, a hut or temporary dwelling, during the week long holiday of Sukkkot which this year begins sundown, Sunday, September 27th. And when we see the stars and moon at night through the roof... what can be more beautiful!! This year the sky will be even more spectacular as there will be a supermoon, which only comes around once a year that will be 14% larger than usual and 30% brighter. It will then be engulfed by an eclipse for more than an hour. Spiritually this is seen as a time for spiritual growth and new beginnings. Happy Sukkot!! From Rabbi David: In this world of high tech, it can sometimes seem as though we are merging into one entity with our I phones and computers. With their dependence on gadgets, many of our "digital native" children prefer to communicate with their peers through texting. Free time means TV, the computer or video games. The time spent outside is extremely limited. Enter the holiday of Sukkot! A time to celebrate our wonderful origin as people of Mother Earth. Like all of our Jewish customs, we blend our “earthly” Succot celebration with the celebration of the spirit. We remember that Mother Earth provides all of our needs. Indeed, Sukkot is the Jewish holiday of Thanksgiving in which the rest of the summer harvest is gathered. Our ancestors used to build a sukkah, a small hut, this time of the year to be able to spend as much time in the field (including spending the night) to insure the completion of the harvest before the strong fall rains (the “yoreh” – literally shooting rain) would arrive and spoil the crops. 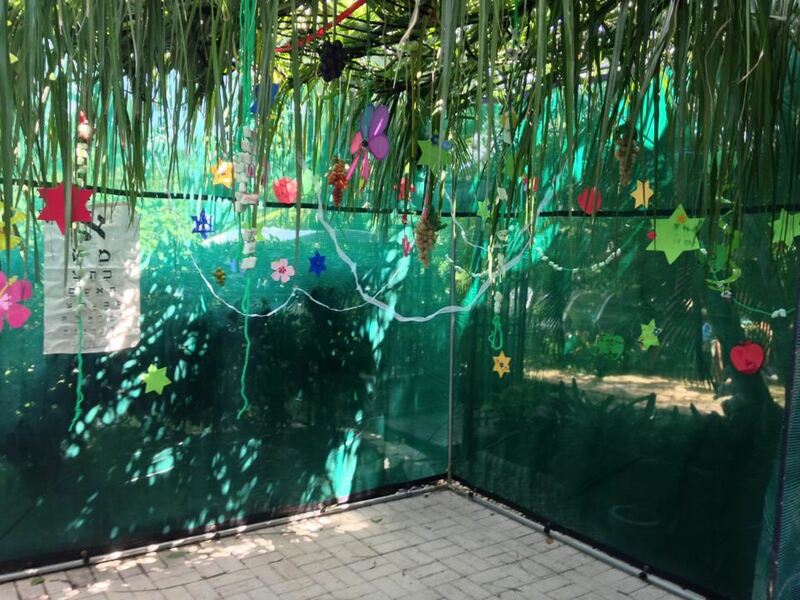 The actual act of building and spending time in a sukkah in our modern day helps return us back to nature even if it is only for a short time. It reminds us that we are more than “electronic creatures.” The rhythms and sounds of nature are meant to balance us, to bring us back into harmony. The biblical commandment to sit in a sukkah is based on the explanation that our ancestors sat in huts while wandering around the harsh desert, drifting from one place to another. It is therefore our obligation to remember that the road to freedom can be grueling, long and exhausting. Sukkot, therefore, also celebrates what we Jewish people have always loved and appreciated and what we thank the Almighty for, our freedom. Building a hut with a fragile roof of branches is spiritually very significant as well. It is about the belief in a Higher Power who watches and protects us just like a desert hut which is such a welcome relief to a desert dweller. In a way, the tumultuous world we are facing is like a desert, a harsh environment of economical, political and spiritual turmoil. As we partake in the mitzvah of sitting in a sukkah and making a special blessing to honor this custom, we are affirming yet again that we trust in G-d to help us go through challenging times just as our ancestors have done in every generation. Chag Sameach- A Happy Sukkot to all of us! From Cantor Lee: Rabbi David gave the following sermon on Yom Kippur morning. He is amazed by the outpouring of appreciation and support that is still coming! We often use the term "A Jewish Soul"or a "Jewish Neshama" . No one can tell exactly what this means. It has to do with the uniqueness of the Jewish entity, the virtues which we attribute to G-D such as compassion and sense of justice. There is an interesting story about Abraham making a deal, a covenant with G-D. The deal was simple: If Abraham would follow G-D's laws, G-D in turn would give the land of Canaan (which later on became the land of Israel) to his descendents, for eternity. According to Jewish mystical teachings, we, Abraham descendants, were given a special soul, a Jewish soul so that we will be worthy to dwell in this secret land given to Abraham. According to this spiritual belief a Jewish soul can dwell in any person of any nation. However, it will always yearn to unite with the Jewish people. Most of the time this yearning is a secret held by the soul so that even the person is not aware of the yearning of their own soul. A convert to the Jewish faith is given a Jewish soul at birth and through some kind of revelation during their time on earth the person becomes aware of their Jewish soul. And it goes beyond that. Even if a non Jew comes to Judaism purely for the sake of marriage and not at all for theological reasons, somewhere along the line his or her soul still has a Jewish light in it. It wants to unite with the Jewish people, even if it is in a very limited way. There is a famous book in the Bible called the Book of Ruth which we read during the holiday of Shavuot. Ruth, a Moabite, becomes a young widow of a Jewish husband who lived in Moab along with his brother and parents. As the story goes, all the men of the family died. When Ruth becomes a widow, she declares her love for her mother in law, Naomi, and that she will follow her back to Judea to become a part of the Jewish people. While not born Jewish, Ruth's soul yearns to become part of the Jewish people. On the surface this is a classical story of a Gentile who according to Jewish tradition has a "Jewish Soul" and therefore converts to Judaism. This is generally the way many Jewish scholars understand the story. However, there is an interesting twist to the story. It is important because it gives a whole new dimension to the idea of becoming a part of the Jewish people. The story is very specific with what Ruth says to her mother in law, Naomi. Ruth loves her mother in law so much that she does not want to leave her. She wants to be with her as Naomi returns to her homeland. Ruth says, "Your G-d Is my G-D, your people are my people." "Whoever is your G-D let Him be my G-D." . This small difference sheds an interesting light of a non Jew becoming a part of the Jewish people. Notice that I said "becoming a part of, not "converted". While the Great Rabbis throughout the centuries assumed that Ruth went through some kind of conversion process when she converted to Judaism she may not have. We really don't know that for sure. And what was the conversion procedure in biblical times anyways? We do know according to a story in the Book of Genesis which involved Jacob and his daughter Dina, that in order to convert, male Gentiles had to go through circumcision only. Nothing else was needed. In the case of Ruth there is no mention of any particular act in order to convert. The story of Ruth doesn't seem to care at all about official conversion. Her declaration of her love to her mother in law and Judaism is enough. Ruth's Jewish soul, planted in a gentile, is yearning to come home. The means to this coming home is primarily because of a love for a Jewish person, Ruth's love for Naomi. This point is important for us to realize in our modern day life here in America. I personally believe that no wedding match between two loving souls, no matter the religion of the two people, happens by accident. Any person, who joins the Jewish people, even simply through marriage, and even if the person practices very few or no Jewish traditions or customs, is destined to do the will of G-D. In a modern interfaith marriage, even if Judaism is practiced to a very limited extent, the Jewish light is still burning and Jewish identity has a good chance to grow and flourish. Whether Ruth, the mother of all converts, ever officially converted or simply joined the Jewish people out of love for her mother in law, she is credited with being the great grandmother of King David himself. Her "Conversion" was certainly accepted by G-D. There is no wrong reason to become a part of the Jewish people. Ruth may have been born a Moabite but her soul was Jewish. Admittedly, tradition and customs are the life line of Judaism, and although I will never diminish their importance, sensible flexibility and thoughtful adaptation to the needs of our generation and beyond is paramount as well, especially in our modern times. The claim that interfaith marriage is a threat to Jewish survival may be very misleading. The lack of sufficient Jewish identity among many Jewish youngsters in an interfaith family or otherwise has little to do with the fact that one of the parents may not be Jewish. From what I have observed for the vast majority of the cases, the non Jewish spouse is happy to help instill Jewish awareness in the children if the Jewish spouse really wants it. In that respect, the children's Jewish awareness and pride has little to do with the interfaith marriage of the parents and everything to do with the Jewish awareness of the Jewish spouse. I have seen that children of interfaith families, even if raised with more than one religion are more likely to show pride, care and concern about Judaism and Jewish causes then many children who are raised in a total Jewish household where very little or no Judaism is practiced. Of course, this may not be true in every case. There are also many children who come from mixed marriages and are raised with neither religion. The parents feel that abstaining from religious education all together is a viable compromise - a very bad mistake. And then there are the children who have two Jewish parents and are not raised with Judaism at all as the parents simply don't care. In my opinion, more often than not, even if both religions are discussed and practiced in a mixed marriage home, the children still have a solid Jewish identity or at least they know that they are a part of the Jewish people. I do not know of any interfaith marriage which has ever been broken because the Jewish spouse insisted on Jewish exposure for the children with or without Christian exposure as well. It is therefore the Attitude of the Jewish spouse which ingrains Judaism in the kids even if exposure to Jewish practices in the interfaith household is limited. Children are very good in sensing sincerity in attitude. Jewish families who grow up with no Judaism in the house which leads to no Jewish identity. In an interfaith family, children stray from Judaism because the Jewish spouse simply does not care or is willing to completely yield his children's Judaism to another religion. Michael Douglas the famous actor, comes from an interfaith family and strongly identifies with Judaism. He is intermarried to Catherine Zeta-Jones. He was just honored with the second annual Genesis Prize. "In the strictest sense, our laureate this year is not a “perfect” Jew. His mother is not Jewish. I even suspect that he does not spend every Friday evening in a synagogue and does not follow Kashrut. Yet, he is someone who put his energy and determination into being Jewish, who exercised his free will and showed commitment to follow the path of his ancestors in search for a foundation. Should we deny his Jewishness on the basis of his mother’s birth or should we celebrate it on the basis of his commitment to embrace Judaismand pass his Jewish heritage to his children? Are not free will and determination the essential qualities of the Jews? We can respond to freedom by building barriers and closing up, or we can respond to it by being inclusive and supportive of those who choose a path of Judaism. " We should support and encourage those who have made a decision to embrace their Jewish identity and pass their Jewish heritage to their children, like Michael Douglas is doing. We should welcome them with open arms – not turn away from them. In a spiritual sense many non Jewish spouses may have a Jewish soul secretly yearning to return to the Jewish people whether it is "Converted" according to Rabbinical laws or not. Over the years I have seen the yearning power of many Jewish souls to return home. I have conducted wedding ceremonies for many who came to Judaism even without official conversion as a part of marrying a Jewish spouse. Are these situations different from the story of Ruth who came to Judaism because of her love for Naomi, her mother in law? A close colleague of mine Rabbi Barbara Aiello in Italy tells many stories about many Christian in Italy as well as South America who yearn to become a part of the Jewish people without necessarily officially converting to Judaism. When Rabbi Barbara asks them why they are in a synagogue they have difficulties explaining the reason. They say that they feel a strange but intense concern for Judaism and care about Jewish survival. As we all know, many of them are descendants of the Spanish "Conversos" during the Inquisition. And now, after 500 years of Christian life their soul wants to come back to its origin to where it belongs, to Judaism. Is it really important that they convert exactly according to tradition? Should we not accept with open arms anyone who wants to be a part of the Jewish people for whatever reason whether it is love of a Jewish spouse, or because of theology? It is time to fight for our survival the right way, by responding appropriately to what our modern Jewish life puts in front of us. We need to consider interfaith marriage as an opportunity to educate the next generation towards a stronger Jewish identity which strengthens Judaism. Indeed, the theology of Judaism and Jewish tradition is very important. However, when it comes to our children, the young men and women of the 21st century, love and pride in Judaism must come before strict practice of tradition. Learning more details about their Jewishness will easily and naturally follow later on in college or through the internet. When it comes to a Jewish family, whether regular or interfaith, children will learn what Mom or Dad teach them and model for them about being Jewish even if in the process they also learn about Christianity as well. It is about Judaism of the Heart. It is the flame of Love and Pride in Judaism in our children which needs to burn. Jewish scholarship and expertise are important but can always follow. In this new year, may we see the strengthening of Judaism in all of our children. And may we all remember why we Jews are here on earth. To be G-D's Light of Love, Compassion and Tolerance. There are certain numbers that Judaism considers sacred as they occur over and over again in the Torah. Well known of these numbers include 4, 7, 10 and 40. The number 40 is especially intriguing. We read about 40 days of rain during Noah's flood, 40 days Moses spent on the mountain receiving the Torah, 40 years spent wandering in the desert, 40 days Elijah fasted and others. Forty seems to signify a time of purification that leads to transformation where we build to a higher consciousness. As we begin to prepare for the High Holy Days, our tradition also asks us to offer 40 days of inner work or purification throughout the 30 days of the Hebrew month of Elul and ending with the Ten Days of Repentance between Rosh Hashanah and Yom Kippur. This work is so important that each day during Elul which began on August 16th this year, the shofar is sounded, reminding us to wake up and judge our deeds. The intent of this self judgment is not to promote guilt but to help us discern what would like to keep in our lives and what we would like to discard. The daily process of inner reflection is meant to also help us become more aware of our emotions and perceptions allowing us to eventually have control over them rather than having the emotions and perceptions control us. In Jewish meditation circles, there is a popular teaching story that illustrates this. A retired Air Force Colonel was standing in the express line at the grocery store and found himself getting quite agitated. At the head of the line, the cashier was not only speaking to a customer with a baby but was cooing with the baby and tickling her. While everyone in the line waited, the colonel found himself getting more enraged by the minute. Fortunately he had taken an anger management class and was able to use the tool of focusing on his breath to help his anger subside. Once he got to the head of the line, he was even able to remark at how cute the baby was. The cashier responded, "Oh, you think so? The baby is actually my baby. My husband was an Air Force pilot who recently died in an airplane crash. I needed to go to work to support myself and my mother takes care of the baby for me. She comes into the store to buy something several times a day so I can see my baby." May we all be blessed with awareness, discernment, peace and joy as we begin the High Holy Day season! During a seminar I recently attended I learned about the work of a classmate who volunteers for an organization that helps families from being deported. In her most recent case, a mother and two young children were saved from returning to their homeland where they would have had to live in fear for their safety. I told the woman that Judaism teaches that saving one life is seen as saving the entire world! My classmate answered "I haven't saved the world! This is just one. There are so many!!" She further explained that she was familiar with the teaching but felt it could only be true from the mystic's view point. She couldn't understand this teaching from her viewpoint. I replied that I understood the teaching in the same way she did. It depends on the "world" we are currently living in to determine how we understand this teaching. There is a saying in Hebrew which roughly translates as "For he who saves one soul, it is as if he saves an entire world". No other expression has more profound meaning in our tumultuous times than this one. It is the essence of the Jewish people who brought to a barbaric world the idea of sanctity of life and with it the ideals of compassion, kindness and decency. We the Jewish people, miniscule in number compared to the world population, are leading the ideological fight against an ever growing monstrous number of fanatics who worship death and are inflicting suffering and destruction all over the world. In our modern times this saying has transformed itself from theoretical moral guidance of the Jewish people to a ray of hope for all people in a world which appears to be growing darker. This light is a strong one. It gives us the strength to repair the world, making it a better place for our children despite our modern horrifying adversaries. By now, the sanctity of life is well implanted in our hearts and in the hearts of light workers around the world. The idea of saving a life of even one person is an important part of the war against modern dark forces coming from the Middle East and beyond. It has become our main weapon in the challenge of the Sons of Light to overcome the Sons of Darkness as was accurately predicted by our ancestors. In fact, there is a book "War of the Sons of Light against the Sons of Darkness" written around 2,000 years ago by the Essenes, a Jewish sect of highly spiritual desert dwellers, which accurately predicts our modern time struggles. As with many Hebrew sayings, the specific content reflects a much broader line of thoughts. While the phrase "an entire world" in the Hebrew is understood as Earth, our physical world, it also reflects the saving of the physical and spiritual world of the individual. That means that physically saving an individual has far reaching results. It also means helping the individual's private world of family and friends as well as the individual's inner spiritual world. But how can saving an individual help to ease the suffering of millions around the world? Any act of kindness such saving a person's life or even a loving thought has an accumulative effect. It contributes in a not so small way to our light of hope for a better world by injecting a small dosage of kindness into the fabric of the our world . As we all know, many points of light eventually illuminates as a powerful ray. Saving even one person's life is indeed a powerful answer to a world growing brutal. It is a true celebration of the appreciation of life and that indeed will be the light that will overcome any dark clouds threatening humanity's survival. Our beloved Oreo Cookie let us know that after 17 years he was ready to go across the rainbow bridge and so we helped him with his decision.We used "Lap of Love," a veterinary hospice practice that provides in home euthanasia. It was such a beautiful, peaceful, loving experience! Our other two dogs, Cinnamon and Candy were also present and had the chance to say goodbye as well. What a gift for all of us! 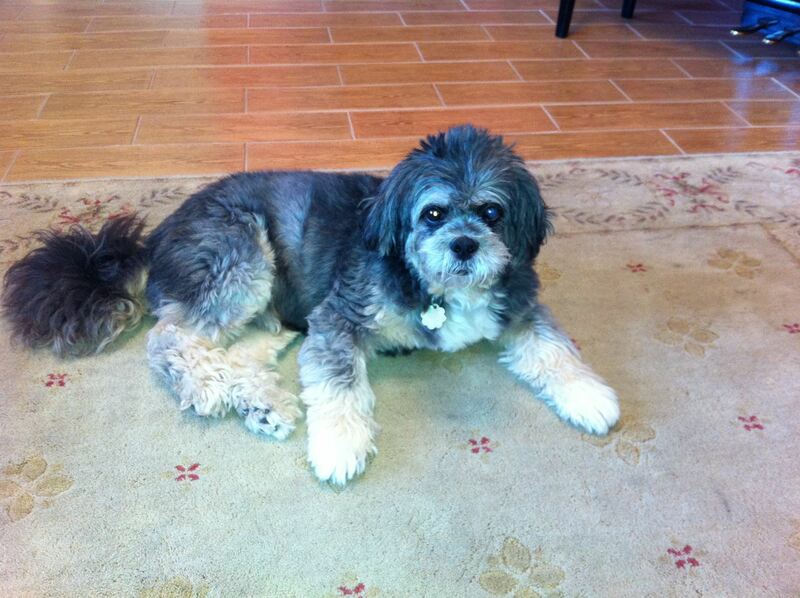 For the rest of the day, I took some quiet time to honor Oreo and reflect on how he has enriched all of our lives. He has certainly been an integral part of Shirat Shalom since the very beginning! As a six month old puppy he participated in our very first Friday evening service which met in our home. 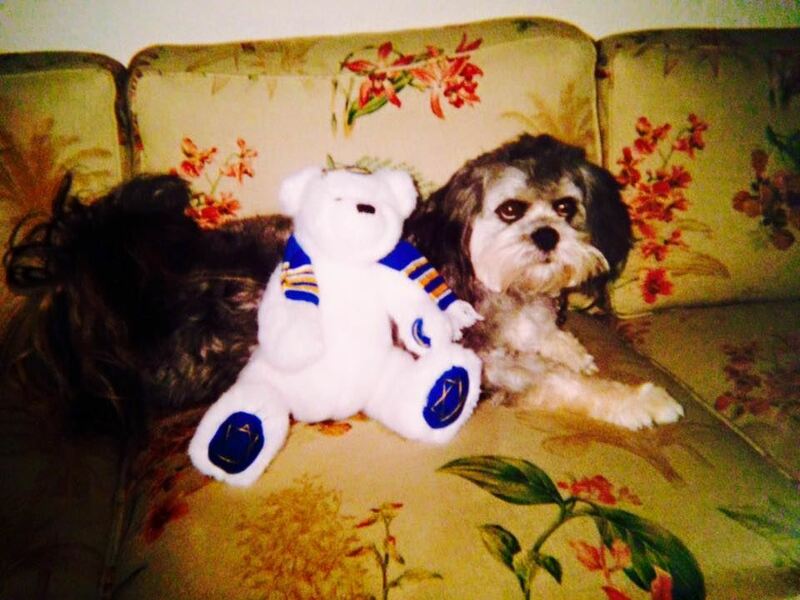 I don't remember how he behaved that night but I do remember that he was always the star attraction when anyone came to the house! He especially loved "assisting" during lessons for the B'nai Mitzvah students. He would sit right next to each student on the couch and would guard their notebooks! And yes, if some papers were left out they might get eaten! Oreo was teaching the students to be organized and put things away! B'nai Mitzvah rehearsals meant legs would be licked! I would of course stop him but most families would tell me, "He is fine!" I guess Oreo was preparing the students for all the "people" kisses they would receive at their ceremonies! Oreo had many ways of teaching our students! 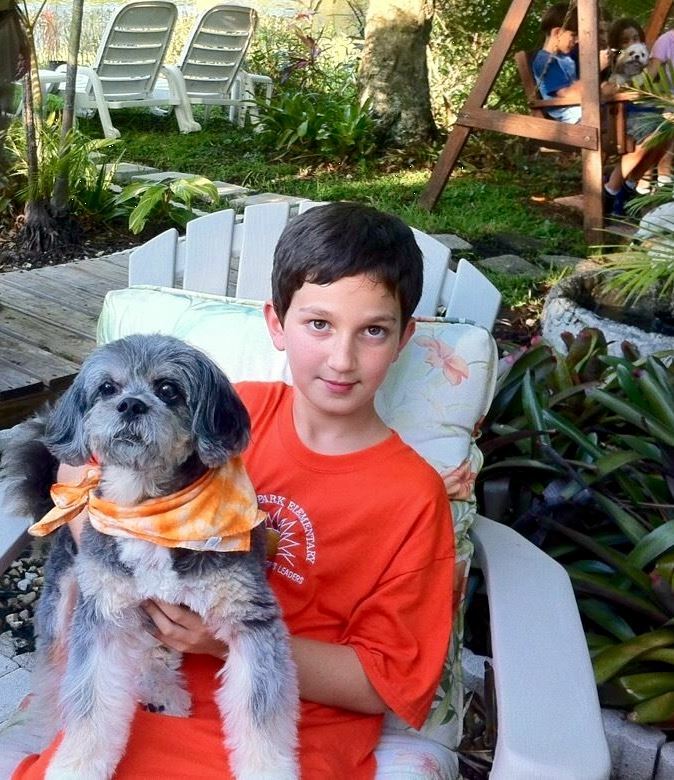 When he was almost two years old we figured in dog years he was close to 13 and had a "Bark Mitzvah" for him on the last day of Hebrew School. All of the students brought gifts and his best dog friends were invited as well! We put him on a pillow, lifted him in the air and sang "Siman Tov and Mazel Tov!" 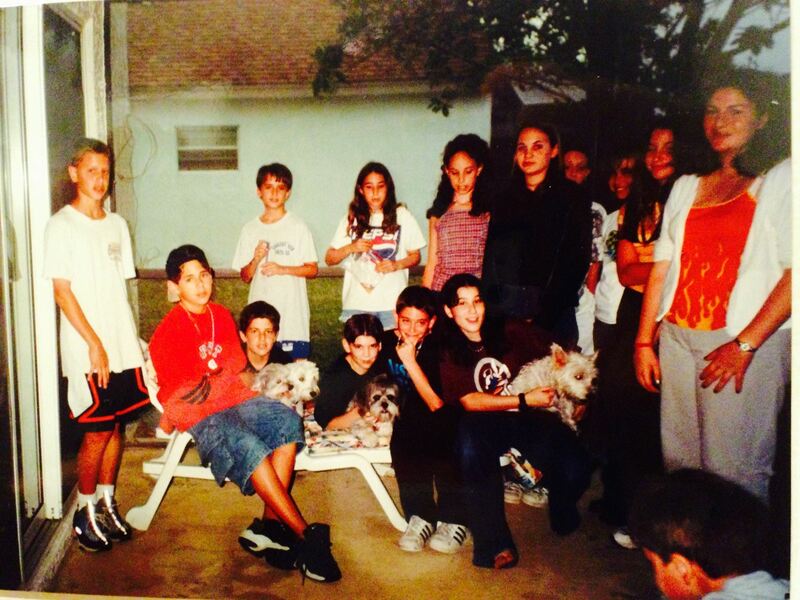 Some of those students still remember Oreo's Bark Mitzvah! Recognize anyone? Oreo Cookie also taught many students the aleph bet! In the beginning years when the K-2nd graders would meet at Miss Susan's house, Oreo would point to the letters with his paw during the aleph-bet song. After class his favorite trick was to run out the door when parents would come to pick up the children. I guess he thought this all added to the fun of Hebrew School! After the younger grades were also moved to Loggers' Run Middle School, Oreo missed his students but he never forgot them! He would always be overjoyed when he would have the opportunity to meet a former student! Five years ago when Oreo had emergency surgery and ended up having a kidney taken out it seemed his teaching career was over. We had taken him home hoping he would improve but after a week he still wasn't responding to us or eating. We began preparing ourselves to say goodbye. But it seems that Oreo still had more to teach and that included me as well! Each week during Hebrew school when we practice the prayers for lighting the candles we have a ritual of "sending Light" for people, animals and places in the world in need of healing. This particular night I asked the students to focus on Oreo who was home with Susan. We sent out our group prayer of Light at 7:10 p.m. At 7:20 p.m. he all of a sudden perked up, lifted his head and went over to his food dish to eat! A few weeks later he went to school to personally thank the children! I truly learned about the power of prayer that night and the power of our amazing Hebrew School children! Each year I re-tell this story to our students. And the ones that heard it before... well, they never get tired of hearing it. Thank you Oreo Cookie for teaching us so many lessons, for being a master teacher! Know that your legacy lives on for your students are busy changing our world! Tisha B'Av (the ninth day of the Hebrew month of Av) is a day dedicated to the mourning of the destruction of the first Temple by the Babylonians in the year 586 BCE and the second Temple by the Romans in the year 70 AD. This year Tisha B'Av will be commemorated on July 26, 2015. Jewish people who follow the tradition observe this date with traditional fasting, chanting from the Book of Lamentations which has a uniquely somber melody and following Jewish mourning traditions. It is indeed a solemn day. one can sense it immediately upon entering any synagogue which holds services for the day. Amazing! We mourn events which happened thousands of years ago! The sadness and the sense of lost lingers and lingers generation after generation. The national and religious pain may be somewhat numb by now but it is still very much a part of our collective memory, our collective psyche. What is even more amazing is that we mourn the destruction of a place where animal sacrifice was the way to draw us close to G-d. In fact, it was the primary function of the Temple. Today of course, we do not practice animal sacrifice at all and will not even do so if the Temple is to be rebuilt. As we explore our spirituality, we now believe that while the Temple's physical building was destroyed, its Holiness never disappeared. As the Temple was burning at the hands of the Babylonians and later on by the Romans, the burning building shifted its energy and its holiness from its burning ashes directly into our living HEARTS. Therefore each one of us carries the holiness of the Temple, the extension of G-d's spirit, in our Jewish "Neshama," our soul. 1095 First Crusade was declared by Pope Urban II. As a result, 10,000 Jews killed in the first month of the Crusade. Death and destruction totally obliterated many communities in Rhineland and France. By comparison to the number of Jews in Europe at the time, the killing was compatible to the 20th century Holocaust. 1492 Inquisition in Spain and Portugal culminates in the expulsion of the Jews from the Iberian Peninsual. Families separated, many die by drowning, massive loss of property. The royal expulsion decree was publicized on 9 Av 1492. When reading all these events which happened on the 9th day of the month of Av, we get a different perspective on the significance of the day, especially with the establishment of the state of Israel in 1948 which is now considered one of the most advanced democracies in the world and third in the world of technology. While Tisha B'Av is a day of mourning of some of the many catastrophic events in our history, it has now become a day that symbolizes the triumph of Hope out of repeated disasters, a Phoenix which keeps rising out of the ashes.It reminds us that we are evergreen, indestructible. It re-emphasizes that the Temple is in the heart of every Jew and that the Shechina, the Light of G-d which once hovered over the Holy of Holies in the Temple (the location of the ark of covenant) is still alive and well in us, the Jewish people, the carriers of G-d's Light. May Tisha B'Av remind us to continue to do the job we came here to do, bring this Light to our families, our communities, Mother Earth, the World! My community where I live, Boca Winds, is hurting. A couple of days ago a sweet little Yorkie named Lola was snatched by a coyote while she was just a few feet away from her human in her own front yard. Coyotes in Florida? We don't usually hear about this, but yes, they are here. There have actually been sightings of a coyote in our development over the past two months. The homeowner's association hired a trapper for a short period of time which was unsuccessful and also organized a meeting tonight to give all of us more information. But it is too late for Lola. As my sister has expressed, she can't even process the grief and horror this family is going though. 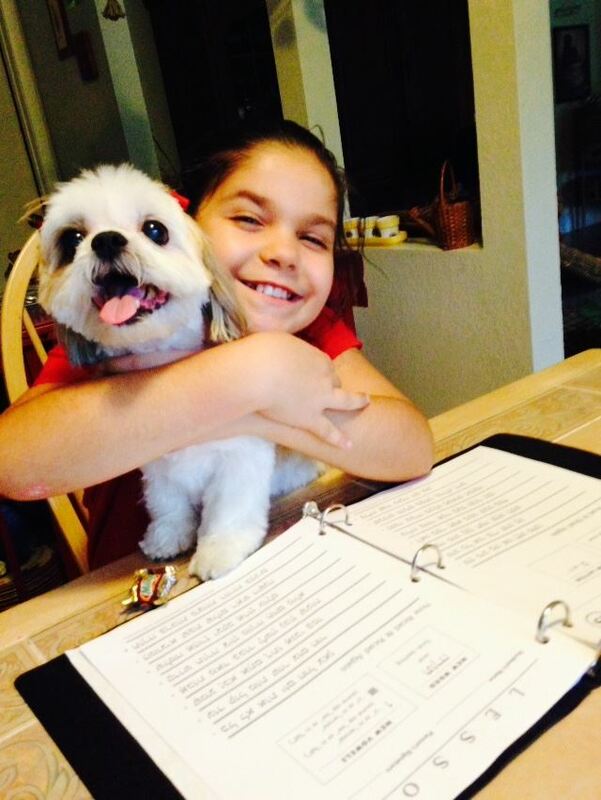 For many of us whether we have pets or not, we are heartbroken for Lola's family! It is only natural that this incident brings up fear and anger for there is a sense of vulnerability, of feeling unsafe in our own neighborhoods. Parents are even expressing their fear in letting their children play outside. I have been watching and feeling this fear and anger go throughout the community. As someone who is sensitive to energy it is very real! As I drove into Boca Winds last evening, this fear and anger was so strong it felt as though it was smacking my body and then grabbing hold of my heart and solar plexus! I haven't felt anything like this energy before in our community! Not even during the hurricanes! My prayer is that my community comes together not from the place of fear and anger but from a place of peace and support for each other, of listening with open minds whether it is the homeowner's association or each other. Easier said than done, the naysayers all say! But we actually have several tools we can use to help ourselves. When we are fearful or angry the blood drains from our brains and we go into a fight or flight response. One of my favorite tools to dissipate this is to hold my fingers on my forehead right above my eyes and concentrate on breathing. Staying this way for a few minutes brings the blood back to the brain which allows for clear and calm thinking. I am also holding the vision that my community finds the answers we need to move forward and that we once again feel safe. We may need to change the way we put out our garbage and receive training in a number of methods that "teach" the coyotes that being around humans has negative consequences. I am also sending Love from my heart to Lola's family. I am so sorry for your loss! And as for Lola, I know on a higher level, you sacrificed your life for all of us. We may not be able to fathom this now but I know for me you have helped my heart become even more open. And for this Lola, I thank you! Please know that we will watch out for your beloved humans!